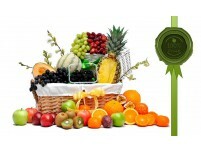 High levels of fructose sucrose fruits designed to create a maximum impact in terms of energy boost. 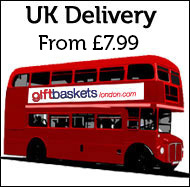 Ideal for afternoon lulls in energy levels rather than a cup of coffee or a bun? 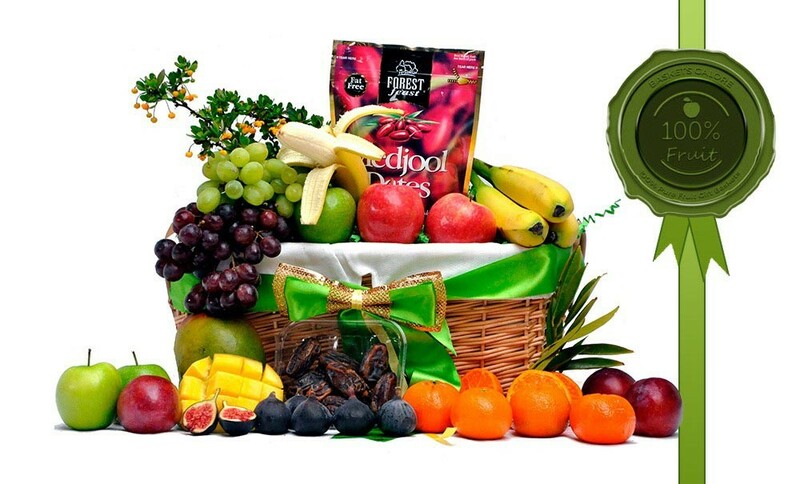 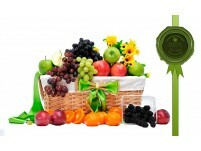 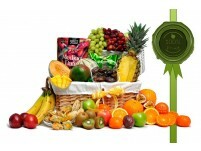 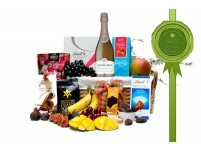 A deep lined wicker basket containing an array of juicy fruits including small oranges, red & green apples, plums, red & green grapes juicy mango, figs, bananas and a bag of tasty dates by Forest Feast 180g. 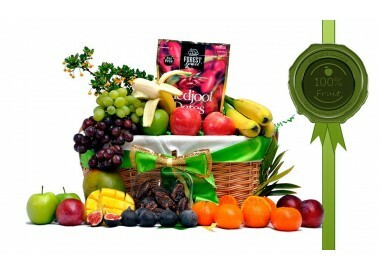 Only available in the summer when Cherries are widely in abundance across Europe, our Good Energy fruit basket combines a punnet of cherries along with a medley of classic fruit sorts.